Aves® Safety Solvent is recommended for tooling, smoothing/seamlessly feathering, texturing, & quickly cleaning Aves® Apoxie® & FIXIT® products, and other epoxies, from tools, brushes and surfaces before set-up. Water clean-up! D.O.T. certified non-hazardous for international and domestic shipping. 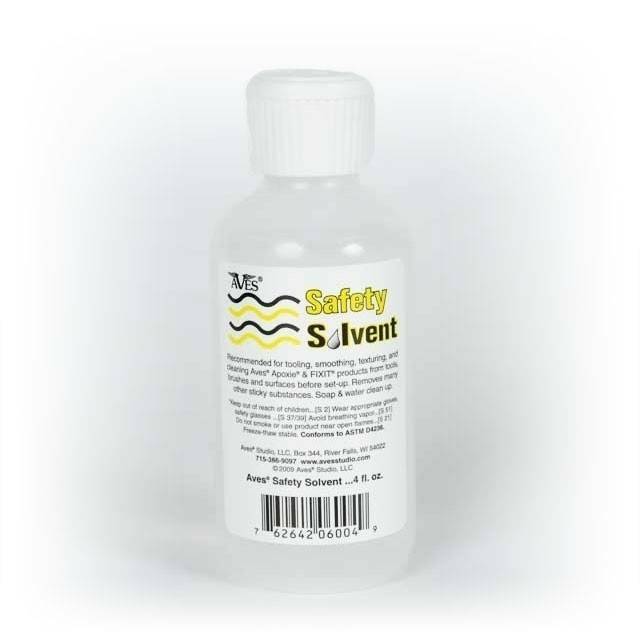 This is a safe alternative for acetone and other commonly used toxic solvents. It is the least flammable, most effective safety solvent on the market.